Rose, thanks for the picture. Higgins #11-11 7Y-Y is now registered as ‘Ladelle’ with the RHS. Higgins #14-08 5Y-Y is now registered as ‘Leola’ with the RHS. 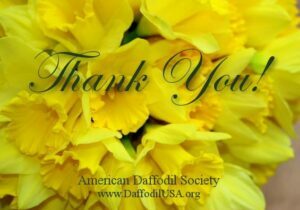 Thank you for your participation in the ADS Fall 2017 auction. Thank you Clay, it is a beautiful little flower and scented. 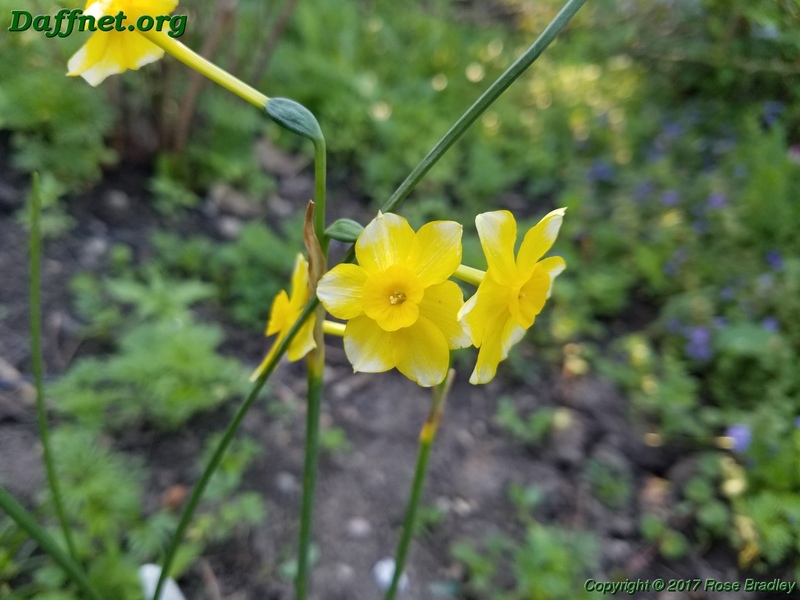 It was such a delight to walk into the back yard expecting to see only columbines and lilacs, but to see a new daffodil blooming. I thought for sure they were all done this year. It is Mid to Late here. I didn’t expect it to be so late in your area. 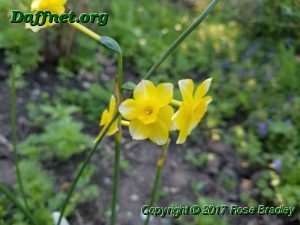 My nose is not sensitive to daffodils so I didn’t know it was scented. I suppose that is a bonus.